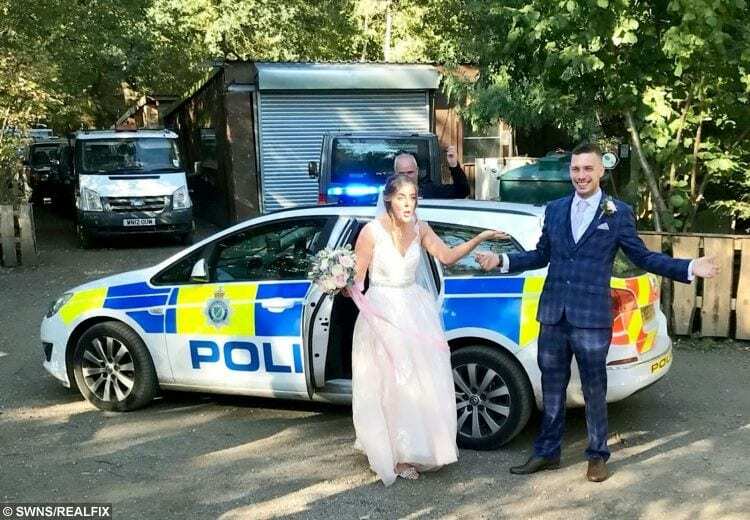 A couple of newly-weds made an arresting sight when they arrived at their wedding reception – in a POLICE CAR. Sian and Josh Chapman’s chauffeur-driven 80-year-old Austin Healey conked-out shortly after they tied the knot on Saturday (Sept 29). However, a police patrol car happened to be passing in the opposite direction as they stood at the side of the road and blue-lighted them to their venue. Sian, 26, and Josh, 28, made it to the reception just 25 minutes late after they were married at North Hykeham, Lincs. Sian’s mum Sue King, 57, said: “I was a bit concerned while waiting for them because they were 20 minutes late. “Then I heard sirens and thought there must have been an accident somewhere but when we saw them in the police car a few people thought it must be a prank. 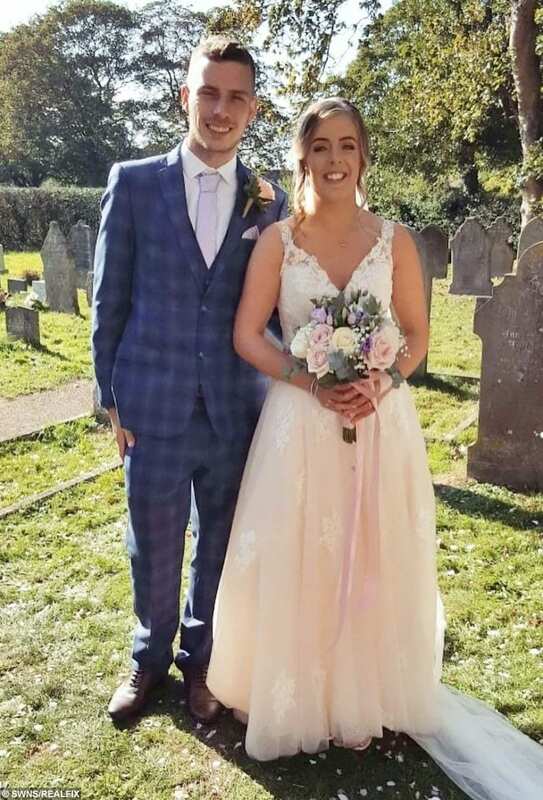 “We were thrilled that the police car happened to be passing – I think Sian and Josh were absolutely gobsmacked really. 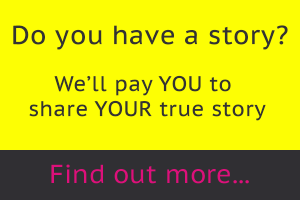 “Everybody was saying ‘oh wow – that’s you’ll never forget. Nurse Sian and plumber Josh, of Lincoln, are now enjoying a three-week honeymoon in the USA with stop-offs in Las Vegas, San Francisco and Yosemite National Park. Sian’s sister, Gemma King, thanked police on social media after the near-calamity. 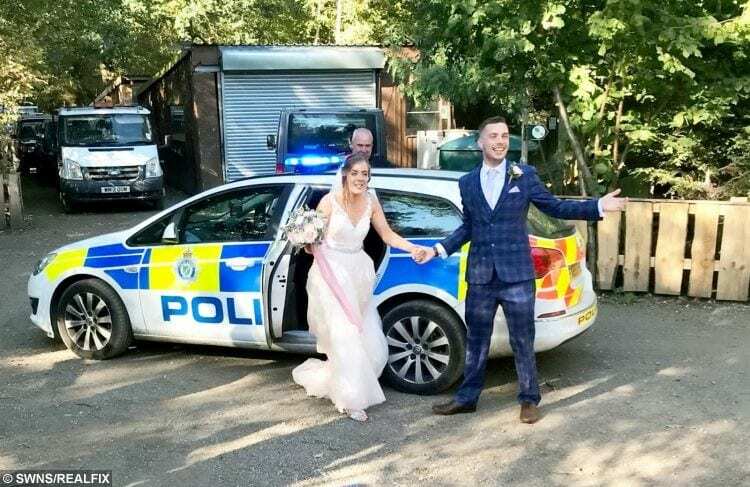 She tweeted (SIC): “A massive thank you to @lincspolice for giving my sister and her new husband a lift to their wedding reception yesterday after their car broke down on route! A moment we’ll never forget”.